While good food is undoubtedly one of life’s finest pleasures, good food while travelling is simply sensational. The two go together like young lovers. Exotic spices, exciting flavours and textures can take you on a sensual adventure, as much so as the people and the land. I’ve had some of the best times of my life eating, and here are some of the best cities for food I’ve ever experienced. I had the good fortune to live in Barcelona for three months. Luckily I made friends with some locals, one of whom was a chef, and the other loved cooking and his father made wine. Besides the numerous dinner parties with home made tortilla, Catalan bread and prawns with all manner of spices, I ate alfesco in many places by the sea. Food such as whitebait, calamari, olives, patatas bravas. Fresh, colourful, unforgettable. 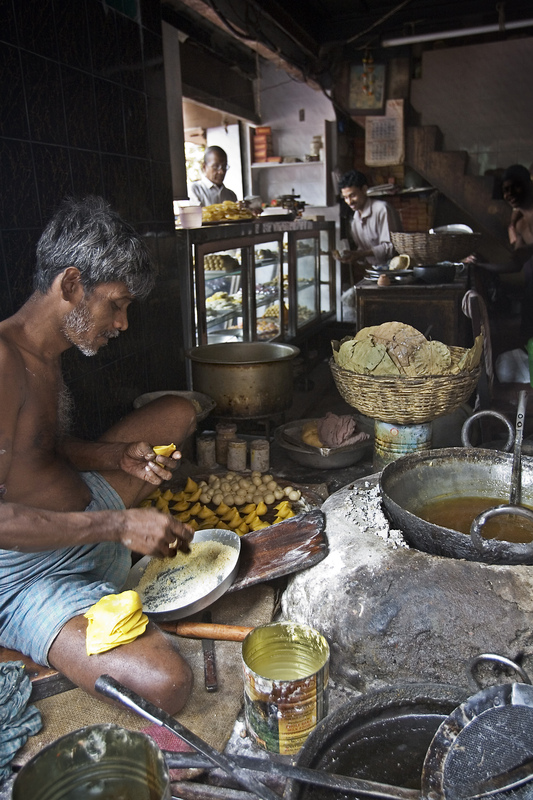 For a long time I thought the food in Calcutta (in north-eastern India) surpassed anything I’d ever eaten. Only my love for Mediterranean food makes me uncertain. While the restaurants serve up some mean steam worth of fodder, it was the street stalls where I found my magic. Vegetable balls rolled in spices, and the mixed thali, containing curries stamped with mama know-how. Absolutely amazing. Located in the Gulf of Thailand, Trat is a provincial town with a local, rambling feel, containing bustling markets and plenty of home grown vitality. While Thai food is generally of a very high standard in many places (Bangkok, for example), Trat is etched in my mind as one of the best cities for food on the planet. Here the night markets are a real highlight – the laksa, curries, seafood dishes and array of fruit are worth tackling a football team for. Thanks Miss L. I love my food, writing this made me want to go out to dinner (mid-morning). (Cough cough) where is Melbourne on this list ? ??? ?